Alot of pot holes starting at pleasant supplies and goes to the other side of the stop sign going across parade street. Potholes will be filled/repaired as weather allows. There is about 15-20 pot holes there now coming from south going north. Everyone drives on the wrong side of the road to get around them. 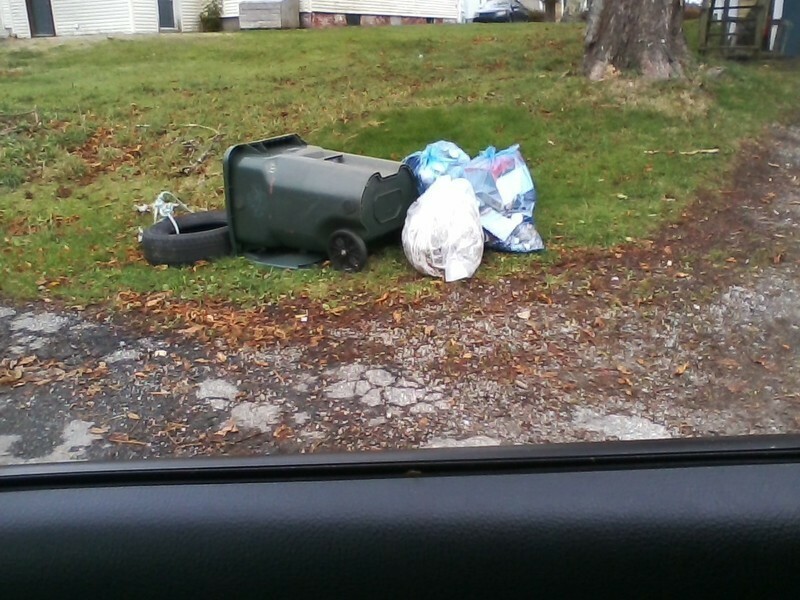 Garbage is still being put out on Mondays for pickup on Wednesday, IN THE BACK YARD! Garbage is still being put into the backyard rather than the front. Large pothole on Grantham street. As there is a seniors' home there I'm hoping we can fill it in. Thank you! We will contact the hauler. Smokes in vehicle and throws cigarette butts on the neighbouring properties. New step built so that it encroaches approx. 1 foot onto the side walk...tripping hazard. We will check to determine if the step encroaches the street right of way. Unsightly property. Garbage on property and building unkempt. Thank you for using SeeClickFix to help us address problems in the Town of Yarmouth. Your concern has been routed to the person with the authority to assess and act on your concern. Thank you for reporting this issue , we have looked at it and shall continue monitoring the situation . As our summer maintenance of sidewalks and curb shall begin shortly as the weather allows we shall address these issues in order of priority . Also as a note when we do repairs to any curb there will be a period of time which parking will not be permitted in that area .